Have the knowledge of the market trends, transaction steps, and marketing skills to make the process smooth and simple. "First class, best in the business. A pleasure to work with". "Calibrate is an excellent team to work with from start to finish". "Number one in my book. The best team I have ever worked with". "Kyle, Greg and Ana continue to exceed our expectations. We are privileged to have you as part of our investment team". Kyle Malnati is a commercial real estate broker specializing in multifamily and investment sales. Kyle has been fortunate to experience many successes in his brokerage career which includes the following awards: Company Top Producer in ’09, ’12, ’13, ’14, ’15; REALTOR Magazine “30 Under 30” National Award Winner in 2012; Denver Business Journal “Heavy Hitter” in ’08, ’09, ’10, ’12, ’13, ’14, ’15; DBJ Young Broker “Heavy Hitter” in 2008; Company Rookie of the Year in 2007. Kyle attributes his career accomplishments to keeping focused on his clients’ goals, having wonderful mentors, working hard, and becoming an industry specialist. Kyle and his wife Courtney, are the proud parents of 7-year old daughter, Charlotte; and 5-year old twins, Amelia and Henry. They love life in Colorado and both graduated from metro-area high schools before attending the University of Wyoming. When Kyle is not at work, he loves spending time with his family and being active in various sports. Kyle plays men’s competitive lacrosse from the Spring to the Fall and competes in a triathlon once a year, and enjoys other various team sports like ice hockey and football. Kyle is also involved in several local charities. He was on the Board of Directors for Broker’s Benefiting Kids and has participated in charitable events for Hope Communities, the Joanne Ficke foundation, Bonfils Blood Centers, Youth Roots, A Precious Child, and Project Voyce. Greg Johnson is a commercial real estate broker specializing in multi-family and investment sales. With fifteen years of experience in the Denver market, Greg has successfully brokered the sale of more than 2,200 apartment units with nearly $250,000,000 in total sales volume. He joined Calibrate Real Estate when the company was founded in 2016 after working with Kyle Malnati for five years at Madison & Co. Greg brings a wealth of sales, operations, and organizational experience to Calibrate. The opportunity to develop and cultivate lasting relationships with clients is Greg’s favorite part of the real estate business. Greg is focused in the Central Denver neighborhoods and brings an unparalleled level of service and expertise to apartment investors. Greg was raised in Colorado Springs, in a family of real estate brokers and apartment owner/operations. He is proud to carry on that family tradition and to be working in the neighborhood where his great-grandfather lived over 100 years ago! Greg and his wife Carrie have been married for nearly 20 years, and are the proud parents of Zach and Courtney. His family is heaviliy involved in their kids’ school, Denver Christian. Time together on family vacations is a priority, and a recent favorite was attending the Super Bowl 50 — Go Broncos! Conner Piretti is a commercial real estate broker specializing in multifamily sales in Central Denver. Conner began his career as a Portfolio Manager at Cornerstone Apartments where he managed 22 apartment buildings totaling over 350 units in Capitol Hill, Uptown, Cheesman Park and Congress Park for 6 years. Conner utilizes his operational experience to share a perspective unmatched in the industry and provides sound advice to his clients looking to buy or sell multifamily property in Central Denver. Conner remains focused and dedicated to maintaining an unparalleled market knowledge in the Central Denver multifamily marketplace and passing that education on to his valued clients. Conner lives with his wife, Tessa, in the Uptown neighborhood of Denver. They have bought, renovated and sold multiple properties in the past 9 years and currently own 8 rental units in Uptown and Capitol Hill. When not focused on work or their real estate investments, Conner and Tessa enjoy walking to their favorite Uptown and Capitol Hill restaurants, golfing and the occasional weekend retreat to Grand Lake. Conner is a member of Historic Denver and has an affinity for the vintage buildings that make up the landscape of the neighborhoods that he lives and works in. Ana is a leader within Calibrate Real Estate, her official role is Sales Manager and is a licensed real estate Broker. She has worked alongside Kyle Malnati and Greg Johnson for four years. Ana started working with Kyle and Greg at Madison Commercial Properties in July 2014, as their Administrative Assistant. She transitioned into Transaction Coordination in August 2015 after working as an Assistant for a year and has enjoyed working with clients on transactions from the listing phase through closing. Ana graduated from the University of Colorado Boulder in 2013 with a Bachelor’s Degree in Sociology. Ana got her real estate license in 2017 and is excited to work more closely with Buyers and Sellers on future transactions. In her free time, Ana enjoys spending time with her husband, Chris, and going to comedy shows and concerts in Denver. Kayla Davis is the Business Manager at Calibrate Real Estate and handles much of the marketing and day to day operations of the company. Kayla joined the Calibrate Real Estate team in 2017, after working in the salon industry for over 10 years. Kayla was hired as the team’s Administrative Assistant and was soon after promoted to the Business Manager. With her extensive background in guest relations, time management, and organization, Kayla brings a wealth of skills to the Calibrate Team. Kayla lives with her boyfriend and 2 dogs in the Park Hill neighborhood of Denver. In her free time, Kayla enjoys spending time outdoors and taking full advantage of the great state of Colorado. Kayla also enjoys traveling and taking weekend road trips to explore and adventure as much as possible. Sam Bretz is a commercial real estate broker specializing in multifamily sales throughout the Denver Metro area. Before his move to brokerage, Sam was the Financial Analyst for Calibrate Real Estate and handled much of the research and analysis of investment properties, as well as growing sales production. 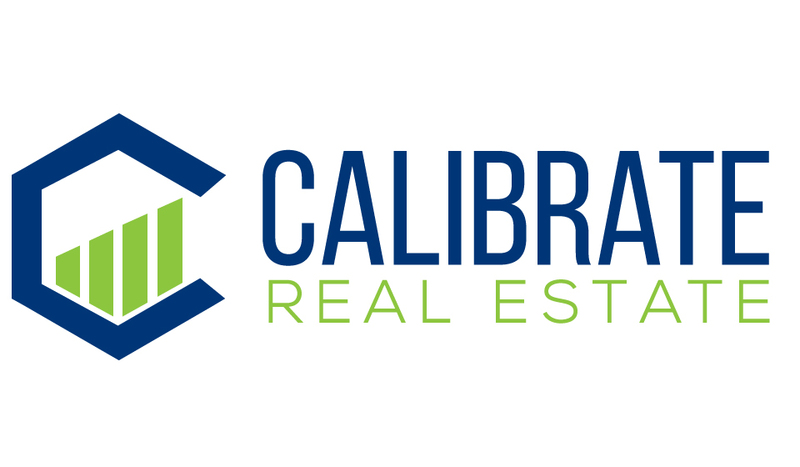 He joined the Calibrate Real Estate team in 2018, after working in sales. Sam is a lifelong Coloradan who you can find skiing all winter long, and hiking, camping, and golfing all summer. He enjoys going to Denver’s various parks with his girlfriend, Lauren, and taking in all the city has to offer. When not outdoors, Sam loves going to the movies, and quotes them frequently. He attended the University of Colorado Boulder, and is still an avid fan of the Buffs. Brandon Wright is a commercial real estate broker specializing in investment sales. Prior to joining Calibrate, Brandon worked for AXIO Commercial Real Estate where he focused on landlord and tenant representation throughout the Denver Metropolitan Statistical Area. Brandon is passionate and energetic about the real estate industry and preforming for his clients. Brandon moved to Denver in 2016 and lives in the Uptown neighborhood. In his free time, he enjoys skiing, hiking, golfing, watching sports, smoking meats and cooking and hanging out with friends and family. Brandon grew up in a real estate family and has been passionate about the industry for years. Jim Casey is an Associate Broker specializing in multifamily real estate and investment opportunities in North Denver. After graduating with a bachelor’s degree in Construction Management, Jim worked for four years as a Project Manager for a Colorado based construction company. In this role he gained experience building a wide variety of building types all over the front range. Jim leverages his background in construction to give him a unique perspective on the real estate industry. Jim is passionate about the Colorado Real Estate market and he has been published in the Colorado Real Estate Journal for his perspective on real estate development. Jim serves his clients by establishing trust as well as understanding and conveying the intricacies of the real estate industry. Jim looks forward to assisting you with all you real estate needs. Jim lives in the Berkley neighborhood of Denver with his wife Hali and their two dogs. Together they own and manage several investment properties in Colorado and throughout the United States. Jim enjoys the Colorado lifestyle to its fullest. In the winters he is an avid skier and in the summer he has taken up mountain biking and camping. Occasionally on a long weekend Jim will take his Airstream trailer for a road trip. Jim also enjoys life in the city. He is a appreciates live music and he loves taking advantage of the growing culinary scene in Denver. Jim and Hali are expecting their first child in May 2019.